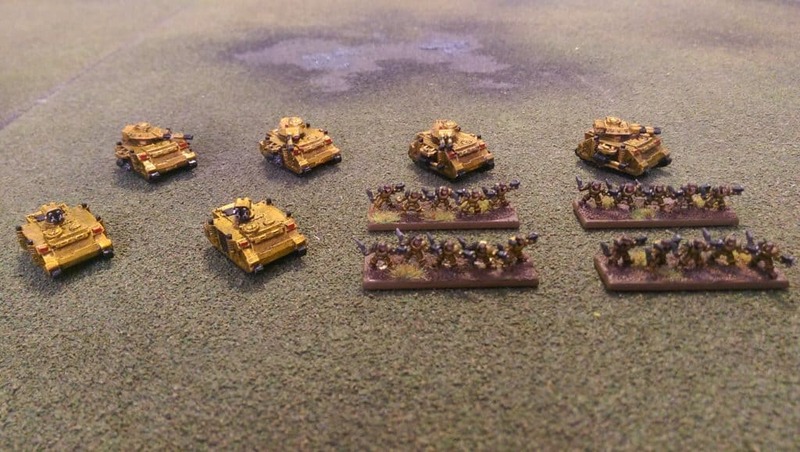 Some photographs I took of units as I finished them for my army. 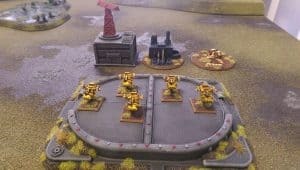 These are a mix of units for formations in the standard Codex Space Marines army list and in the Imperial Fists army list. 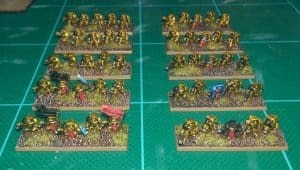 When I decided to get into Epic Armageddon I took a short-cut to get a couple of painted armies together quickly for my friends and I to play with. 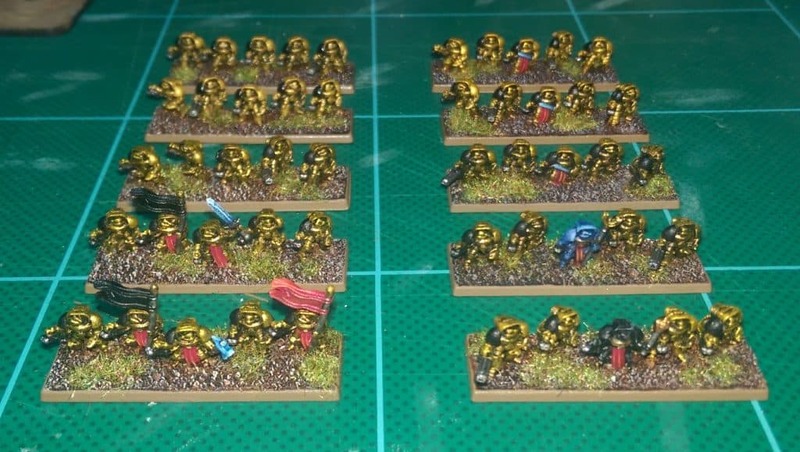 That is, I bought the core of this Space Marine army, and of an Imperial Guard army, ready-painted (eBay). 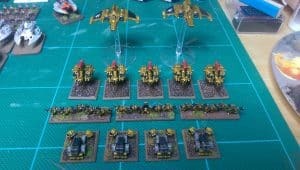 This army mirrors the theme of a Warhammer 40,000 army that was also for sale (which I didn’t buy). The theme of the 40k army made heavy use of Aztec/Lizardman influences. 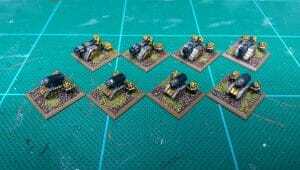 Some of these visual references were also roughly modelled in this Epic army (not shown in this post). 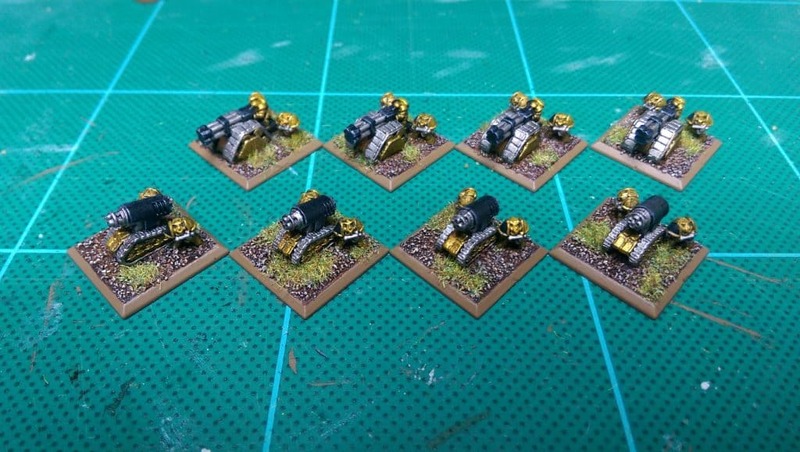 I probably won’t invest the time to continue the modifications as I add to the army, but I’m keeping with the gold and black colour scheme. At some point I’ll take a proper set of photos of the full army so far. But for now I just want to bring together the few random snaps that I’ve taken to date. These show a few of the units and formations that I have added to the army (and a few I’ve tidied up a bit from how I received them). 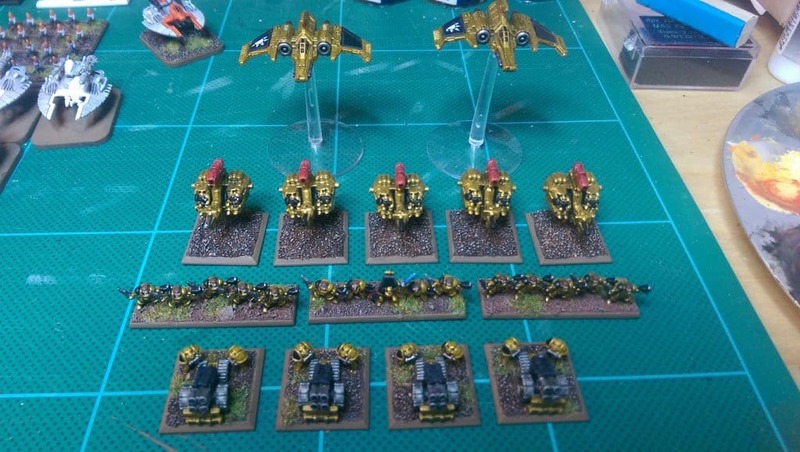 I don’t know what the original owner called this chapter, but I think I’m settled on calling them the Solar Talons. For me, this name works to reference appropriate thematic elements — I’m thinking of things like Aztec sun worship and animalistic warrior mysticism, plus Old Sol at the heart of the Imperium of Mankind, where the Emperor resides in the Golden Throne.